In his conversations with Schmuley Boteach in 2001, Michael Jackson said that he believed his fans loved him unconditionally. It was a strong statement which Boteach didn’t agree with, insisting that fans loved Michael only as an idol and an entertainer. But Michael kept saying that he felt fans knew him as a person. Of course, Michael was right. 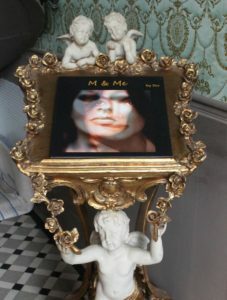 The unconditional love fans have for Michael manifests in their creative artistry. Their works force people to think about the kind of man he was and the message in his art. 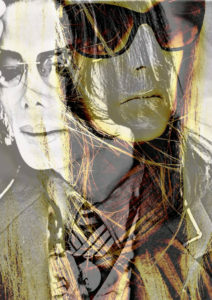 Now, when Michael is no longer with us, his magic is alive in his fans. Each of his fans has a story to tell. Here is one of them. Karina: When I saw your works, I was impressed by their singularity. I haven’t seen anything like this. To tell you the truth, I was a bit embarrassed, it felt like I was spying on something very personal. Still, if you chose to share them with the world, it means you are ready to say what inspired you? Love U Sev: I felt the need to recover from my suffering and live through my regrets by creating a kind of dream intimacy, an impossible link which becomes real, to show my passionate relation without having to say a single word (things I would have wanted to express if I had been able to photograph him personally). I wanted to glorify him and manipulate his incredible beauty which makes my heart burst, every day, in search of THE picture which inspires me. A reflection… I always adapted to his pictures done by photographers other than me, one of my dreams was to allow him to see himself through me, I believe that he would have finally seen himself the way he really was. A man of infinite beauty, disarming and deep. Karina: Now your works are exhibited in New York. What do you expect from this exhibition? Love U Sev: I need people to know that a woman loved him profoundly and will love him forever. Bringing Michael in an art gallery for people to finally look at him, because people called him a freak so often, I want them to see him and make them feel guilty they have called him names, make them say the opposite. 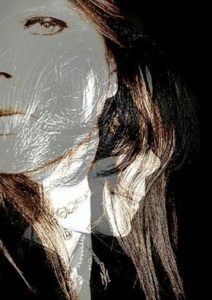 It is a way to express my feelings to him, even if he is not here anymore, to enjoy my love in other ways, differently. My pictures are the union of two bleeding hearts. Karina: How long have you been Michael’s fan? Love U Sev: I cannot say for sure because I’ve never known what it’s like to be a «fan». I loved him immediately when I was 7 years old in 1976. I fell in love with the little black boy who somehow seemed younger than me. One of my father’s friends brought us magazines from the United States, and when I was looking through one of them, Michael and an article about the Jackson 5 caught my eye. 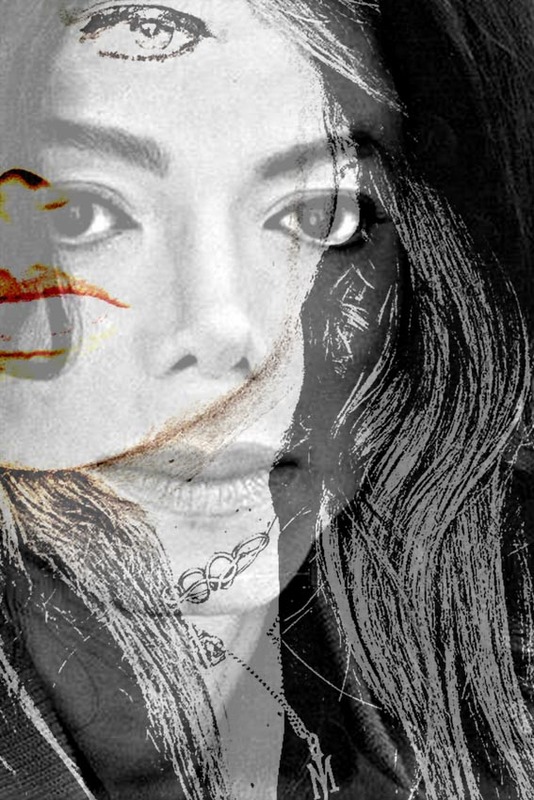 «I want to be Michael JACKSON’s nanny» (nanny was the secret word to say «lover»). I can assure you that nobody knew who I was talking about, because nobody knew the Jacksons in France at that moment, especially in my area. With time, my Mom became very annoyed with my stubbornness. One morning, when I was 10 years old, my mother suddenly came into my room and gave me an article and an ID picture of MJ found in a magazine, «Look at YOUR Michael, he is not a child anymore as you believed, he is 21 years old and a man, NOW WILL YOU STOP!! !» And WHAM! she slams the door. I looked at the picture, got up and tore away everything from my walls (posters of dancers, pictures of horses), and that was the day I was sure that he was the one for me for my whole life. And here I am at the same point, I think. Still loving him. I just joined the fan community in 2009 because I had things to say and had to start my quest for the truth. Karina: How did your life change after Michael entered it? How did your fascination with him develop? Love U Sev: He had a big influence on my own personal life, my life as a woman and my choices. I chose to live a traditional life (not to miss out on life totally) with a husband, a house, a car… with love, but without the BIG romantic love. My son and Michael remain the biggest loves of my life. Karina: Have you ever met him in person, or been to his concerts? I don’t know which day it is, but if you read this, this is to explain why I have refused (with respect) the embrace you were supposed to offer me. An embrace is a pain for the one who likes touching, the heat of bodies, the mixture of smells, mix of hair, the beating hearts, and for whom a separation is a tear, and I do not want to endure that. I’ve never seen him on stage, because I am agoraphobic and I already loved his music — concerts were not essential to love him. In fact, I avoided everything that reminded me of his fame (the fans, the crowd) because all of that always frightened me. Karina: What does your family think about your art and your love for Michael? Love U Sev: I’ve been hiding my feelings for him since I was 10. I kept them inside my heart, to be able to live an ordinary life without hurting anyone. To avoid mockery or opinions that I was a crazy woman. Michael was never the favorite topic of conversation in my family. My mother was especially very harsh on him because of ignorance. My husband never suspected anything. I was not his main interest anyway. As for my pictures, I think that my mother is proud of my work and so is my son. We don’t show or express feelings easily in my family, but I can feel it in their eyes. My father, who died, was an amateur photographer, he would have been proud of his daughter, I am sure of that. 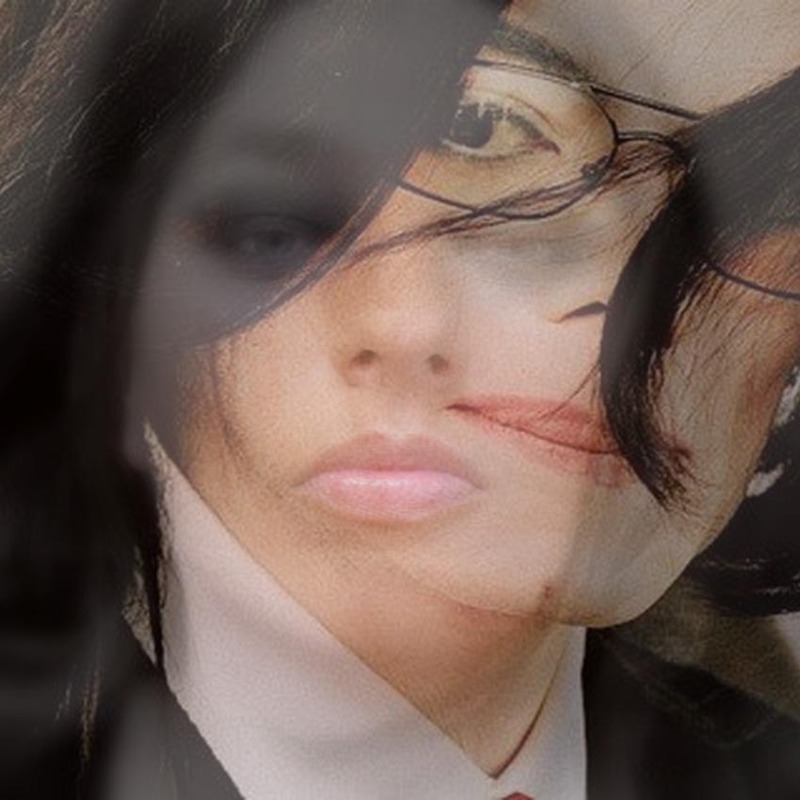 Karina: Every fan has something related to Michael that makes him or her really proud. Some personal achievements that demonstrate loyalty and love for Michael Jackson — songs, poems, narrations, a website or a fanclub. Is there something like that in your life? Love U Sev: For me, it’s always the sentimental aspect. He allowed me to discover to which point I am faithful and loyal, and to be proud to love a man like him. My pictures express all this — yes, I am rather proud of it. Karina: How did your life change after Michael’s passing? Love U Sev: I’m still living for my son. No one else. Karina: I know you investigated the circumstances of Michael’s death and you know a lot about this awful episode. Why was it so important to you? Love U Sev: My desire to understand, or have vengeance, I think. There’s still so much pain and anger in me, I need some closure and especially to fill my life with him, to fill in the gap, the loss. Karina: What did you learn from Michael? Love U Sev: That we can be at the same time everything and its opposite. Not to care about appearances. Karina: Do you have any artistic plans for the future? Perhaps, another interesting project related to MJ? Love U Sev: It is only him who pushes me on to create, so it is certain that my future projects will involve Michael. I am a «young artist,» and so other exhibitions are planned for the summer of 2015. Karina: What do you dream about? Love U Sev: About changing my life, starting over somewhere else. Karina: After being a fan for such a long time, if you could express your main perception about Michael in just one sentence, what would it be? 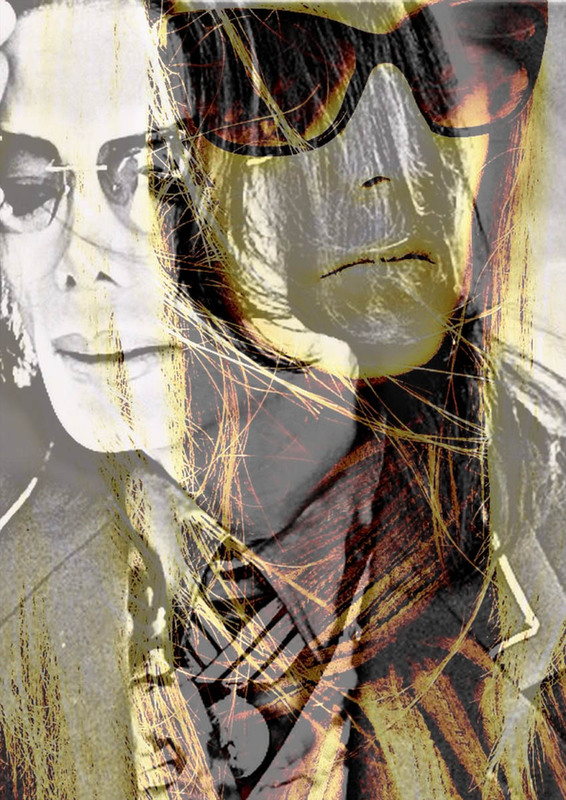 Love U Sev: Michael is a poem which has to be read between the lines. it’s an incredible work, thank you so much, i’m so touched, so honored. Beautiful note, beautiful thoughts and words.